Acochain.com – Bitcoin’s three-day price consolidation looks to be a bull breather before a continuation of the recent rally to above $4,000. The leading cryptocurrency by market value is currently trading largely unchanged on the day at $3,920 on Bitstamp. Notably, prices are trapped in a narrowing price of $4,000 to $3,860 for the third consecutive day. As a result, traders may feel tempted to question the reliability of the high-volume triangle breakout, confirmed on Monday. The bearish-to-bullish trend change, however, will remain valid as long as prices are held above $3,614, as discussed yesterday. Trading volumes have dropped 43 percent from the nine-month high of $9.93 billion seen on Tuesday, according to CoinMarketCap. So, the pullback from highs near $4,000 to $3,900 is likely nothing more than temporary bullish exhaustion. Further, BTC seems to have created a bull flag pattern – a pause which often refreshes on the higher side – on the technical charts. Therefore, the cryptocurrency could soon pick up a strong bid and rise above $4,000. A 4-hour close above the upper edge of the flag, currently at $3,930, would confirm a bull flag breakout and open the doors to $4,330 (target as per the measured move method). The RSI, currently at 63, is again reporting bullish conditions, as opposed to overbought readings seen three days ago. Major averages – 50, 100 and 200 – are also trending north indicating a bullish setup. 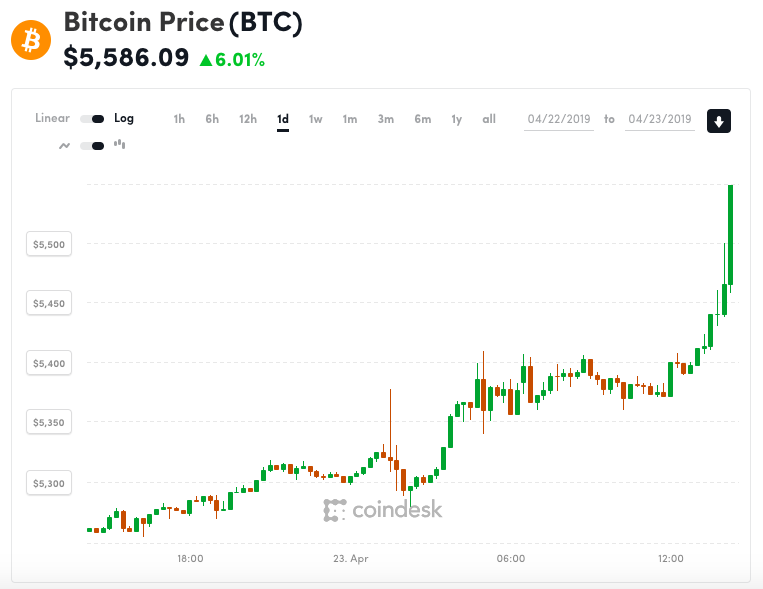 On the daily chart, BTC has bounced upwards at the ascending 5-day moving average (MA), reinforcing the bullish view put forward by the short-term MA studies. A high-volume break above $4,000 would bolster the already bullish technical setup and allow a rally to December highs above $4,200.